I have had a long relationship with Gettysburg College since my days in the software business and still consider it one of my favorite schools. I had the opportunity to take a counselor’s visit and provide readers with an update about this fine liberal arts college. One added bonus when you visit: Gettysburg l is widely praised for it’s dining hall, known as “Servo,” pictured above. Students will definitely gain the “Freshman 15” if they come here. Gettysburg’s profile has risen among liberal arts colleges, in part because of its strong ties to American history and politics. But it is also one of only ten National Liberal Arts colleges that has its own music conservatory. It also has a strong Global Studies program that combines languages, the social sciences and study abroad and a STEM Scholars program for students interested in the sciences. Overall, Gettysburg College has 60 majors, more than most schools of its size, including very well developed programs in Economics, Environmental Studies, Music and Psychology, among others. Gettysburg was one of the first liberal arts colleges to start an alumni association. It is one of the few that expands mentorships beyond current students to young alumni who have already started to achieve in the workforce. The college’s Career Development Center offers not only access to jobs; it also offers programs that provide many things from professional interview attire to funded internship opportunities. It is easier to make connections in Washington DC from Gettysburg than most other liberal arts schools, including many more selective colleges, through the Eisenhower Institute. Gettysburg attracts very good to excellent students.. While test-optional, the average SAT scores are just under 1300; the average ACT Composite is 28. Approximately 40 percent of the students who apply are offered admission. Those who are seriously interested should apply early. The college fills around 40 percent of the class through Early Decision rounds in November and January. Unlike other similar liberal arts colleges, Gettysburg has not had to go to a wait list for the past two years. A “good college” is one that makes good with the students it attracts and retains. Today over 90 percent of Gettysburg freshmen return for their sophomore year. More than 80 percent finish their degree on time. The college reported that 98 percent of the Class of 2016 was either employed full time or enrolled full-time in further education within one year after graduation. More interesting, over three quarters of the class were among the employed. That’s definitely making good at a time when too many people are cynical about the “value” of a liberal arts education. 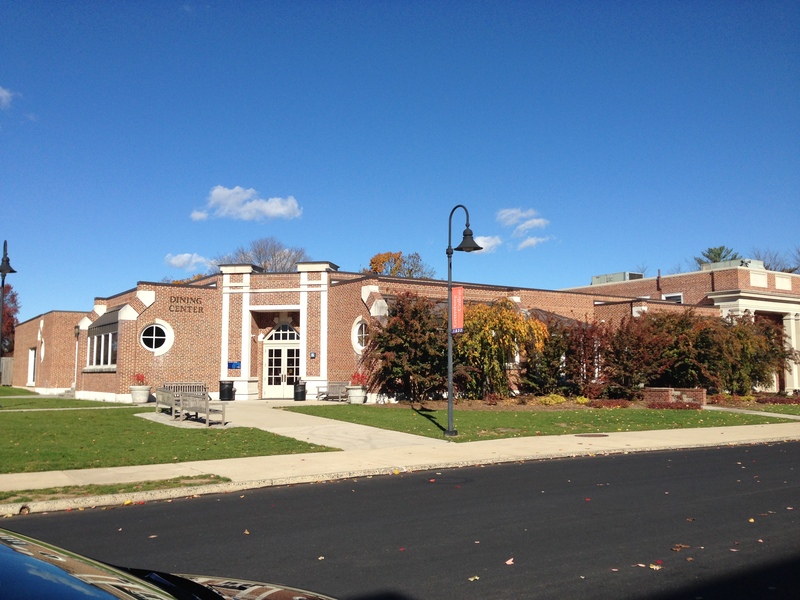 Check out my update on Gettysburg College! Check out my Gettysburg College Pinterest page! Visiting colleges? Daytripper University’s travel guides highlight the best restaurants and hotels as well as the most interesting attractions near Gettysburg College. Founded by Liora Yalof and Bonnie Klein and relying on a network of parents, locals and current students, this comprehensive website features guides to over 100 campuses and resources to help you navigate the college process. Need help considering colleges? Contact me at stuart@educatedquest.com or call me at 609-406-0062.